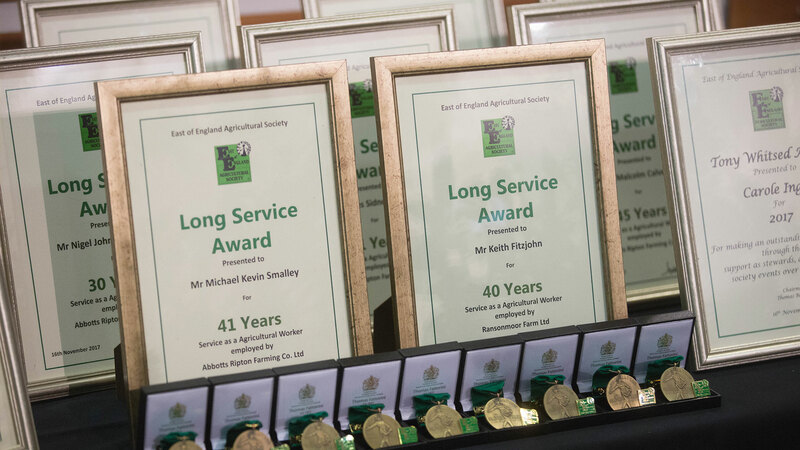 The Long Service Awards are open to members of the East of England Agricultural Society and are presented annually at the Peterborough Dinner. There are varying awards for 25, 40, 50, 60, 70 years’ service. For more information please take a look at the schedule and application document below.